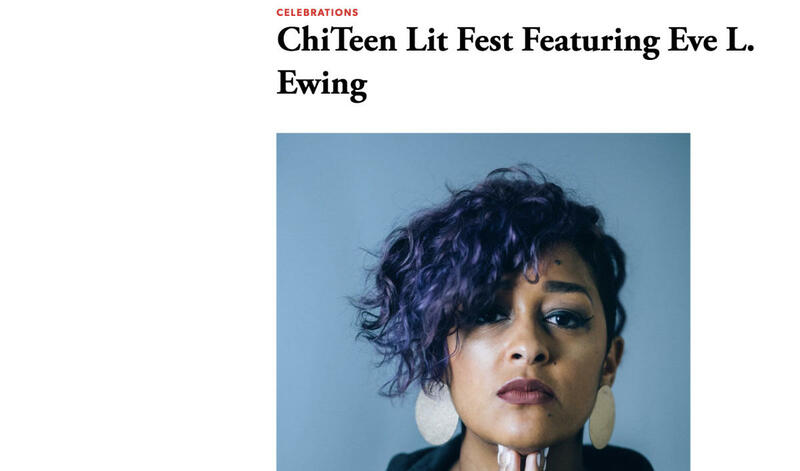 Calling all teens: ChiTeen Lit Fest is a for-teens, by-teens gathering that provides a safe, creative space for young adults to discover and unlock their unique voices through literary arts. The Fest brings together young people from across Chicago and celebrates their talents as they express themselves through exceptional and honest art. Eve L. Ewing joins as this year’s featured poet.